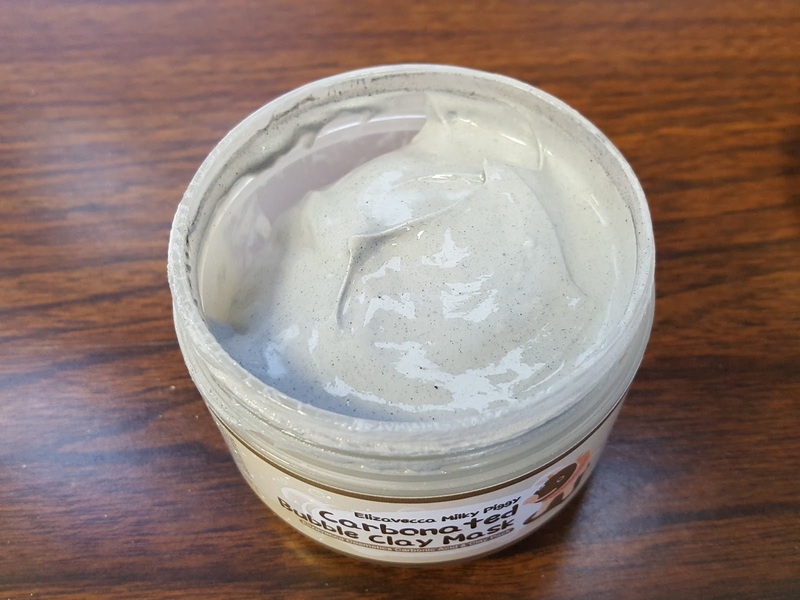 Pint-sized and Simple: Elizavecca Milky Piggy Carbonated Bubble Clay Mask Review: IT'S SO FOAMY!! 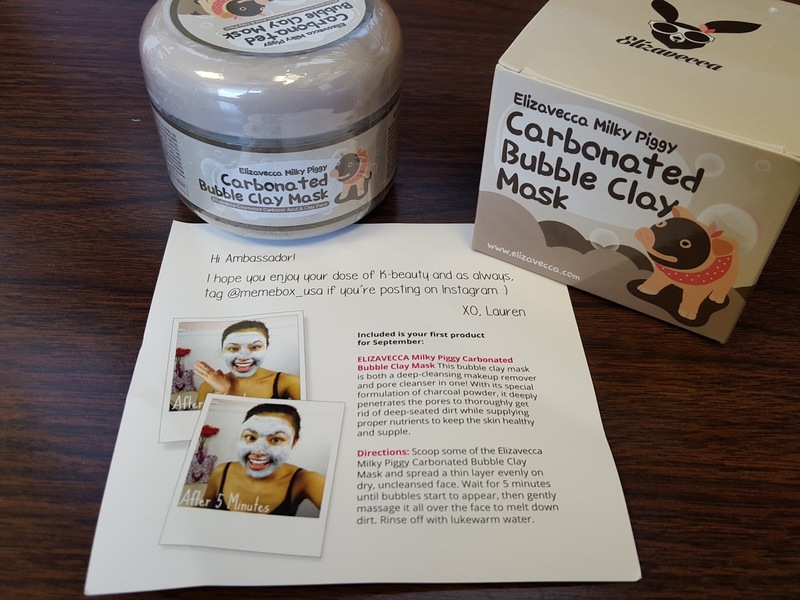 Elizavecca Milky Piggy Carbonated Bubble Clay Mask Review: IT'S SO FOAMY!! Alright, perhaps a little explanation is in order. 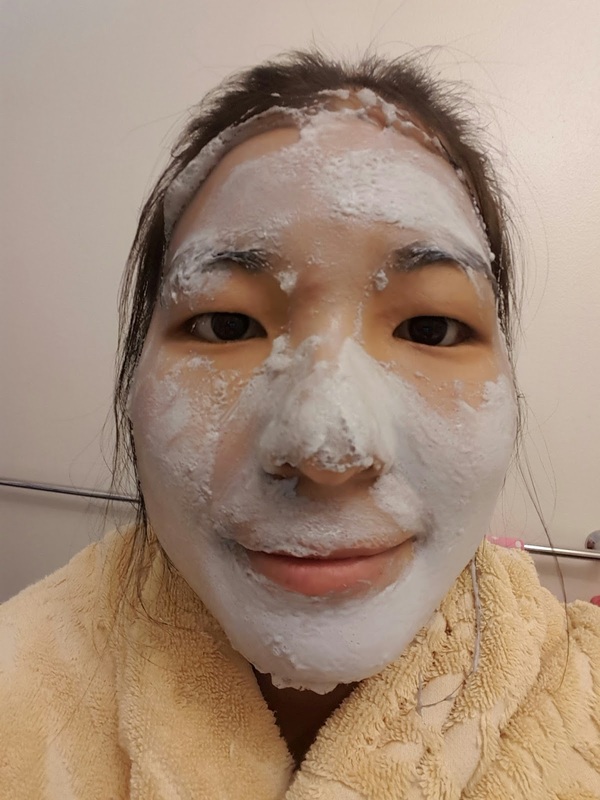 I like clay masks. 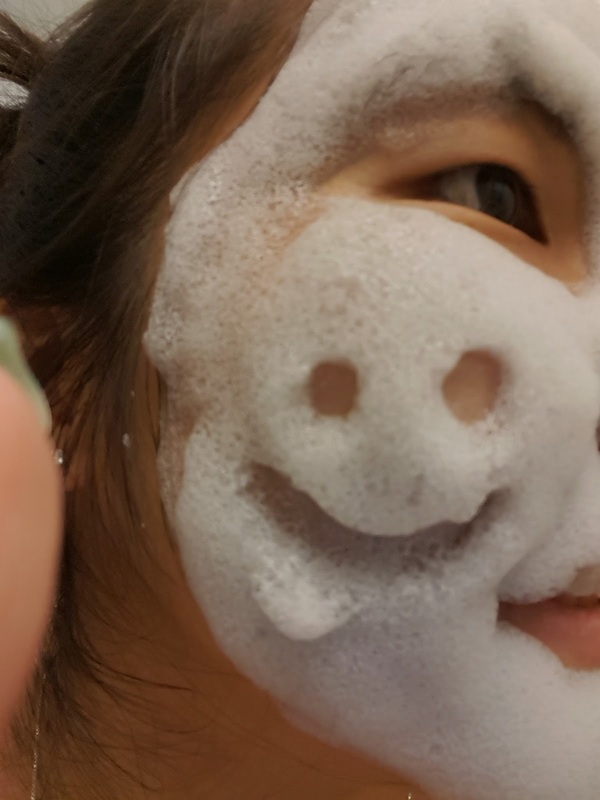 I also like masks that do weird things like peel, foam, bubble, etc. Now give me a clay mask that does weird things and I. Am. Sold. I've been wanting to try Elizavecca Milky Piggy Carbonated Bubble Clay Mask (whew, that's a mouthful) for quite some time - a year, perhaps - but it was always sold out on Memebox and I was too busy lazy to look elsewhere. Of course oblivious me had no idea it was one of Memebox's bestsellers so (DUH!) that's why it was always out of stock. I just thought they stopped carrying it and I gave up on ever getting my hands on the bubbly goodness. Then look what shows up at my door. Good golly the pigs must be a-flyin'. And look, they are wearing clay masks, too! Bam! That's how. Quick explanation: the "carbonation" mentioned in the name refers to carbon dioxide (CO₂) in water. The CO₂-water solution exists in a happy equilibrium with carbonic acid (H₂CO₃), which *gasp* is written right there on the container as well! When the solution is exposed to the air, there's no longer any pressure to keep CO₂ in solution so the molecules along the surface go into the air and manifest as bubbles, much like the fun fizzies in your soda. The bubbles stimulate skin to slough off dead cells resulting in a brightened complexion. Once that dead skin is outta there and no longer blocking up pores, the activated carbon can do its job which is to act like a sponge (or magnet if you will) to attract and absorb skin impurities such as makeup or dirt from deep within pores. The result? A clean glowing face! This isn't a complete list and it makes me wonder just how many things are left off of here, but based on what's given there's a lot of organic extracts. Green tea is good for oily skin, aloe vera for acne prone skin, so I think this mask would be great for oily or combination skin types. Like so many other Korean mask packs, this one comes with a spatula so you don't contaminate the rest of the contents while scooping it out. If you've never played with clay before, this is your chance. The consistency reminded me of clay or a cement mixture. Kind of gray, kind of chalky. Look at the bubblies after just several seconds! The bubbles, the bubbles! That said, I do recommend keeping the original plastic protector in place under the lid for as long as you can, as it'll somewhat slow down bubble formation in the unused product. Aside from the awesome spectacle this mask will create, it's cool because you can actually hear it bubbling up. 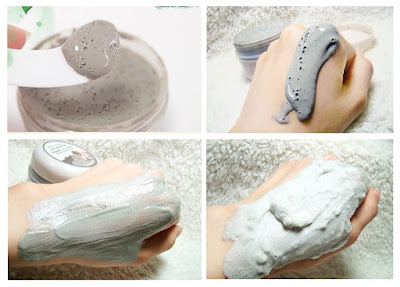 One thing different about this clay mask compared to others is that it doesn't start to dry on your face. It stays wet over the course of 5 min, which was a good thing because I had covered up my eyebrows while rushing to slather it on, and they would not have been happy campers had the mask dried and I had to pick out pieces of dried clay. 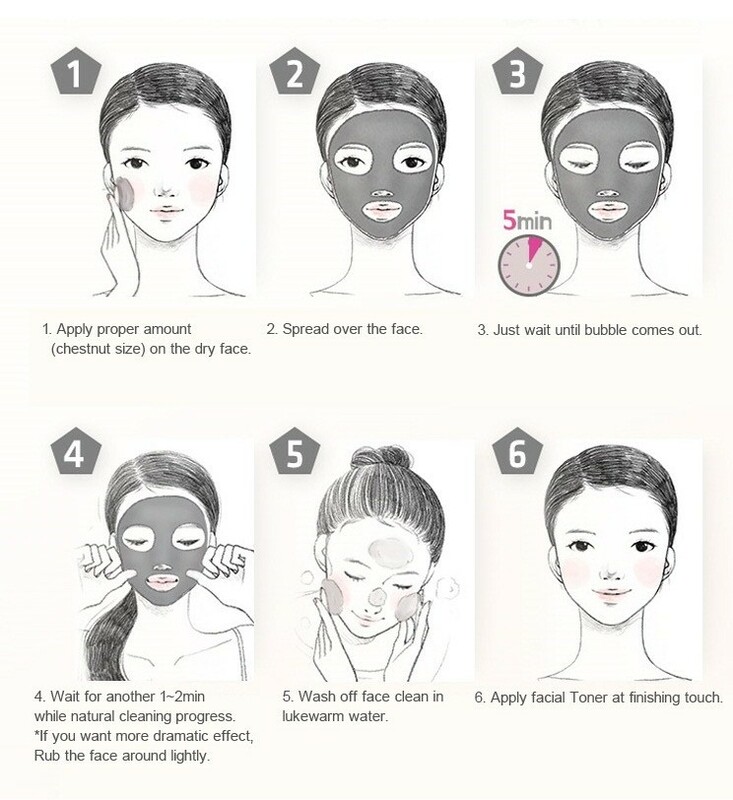 After the five minutes are up you just massage the mask into your face a bit then rinse off with warm water. 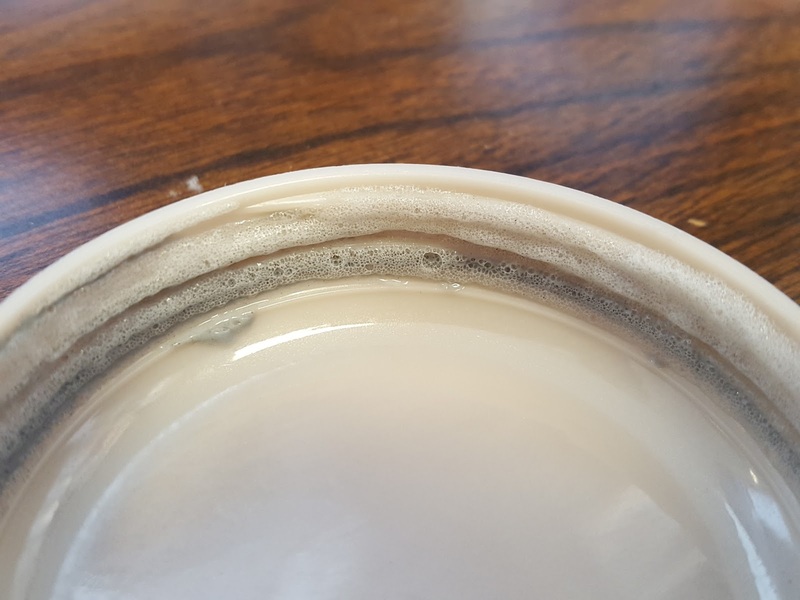 It does leave a layer of residue as shown below, so you have to apply a bit of pressure while rinsing to get it all off. I forgot to take a before/after photo for comparison, but my skin did feel firmer afterwards. I didn't notice any difference in blackheads or clogged pores, but I suppose that's something you'll notice over several uses. Would I recommend it? Of course. It doesn't take much of your time and it's TONS of fun! I totally get you on the singing. Actually I kept saying "IT'S SO FLUFFY!!!" over and over again. It's definitely the funnest mask I've tried. Foam Party!